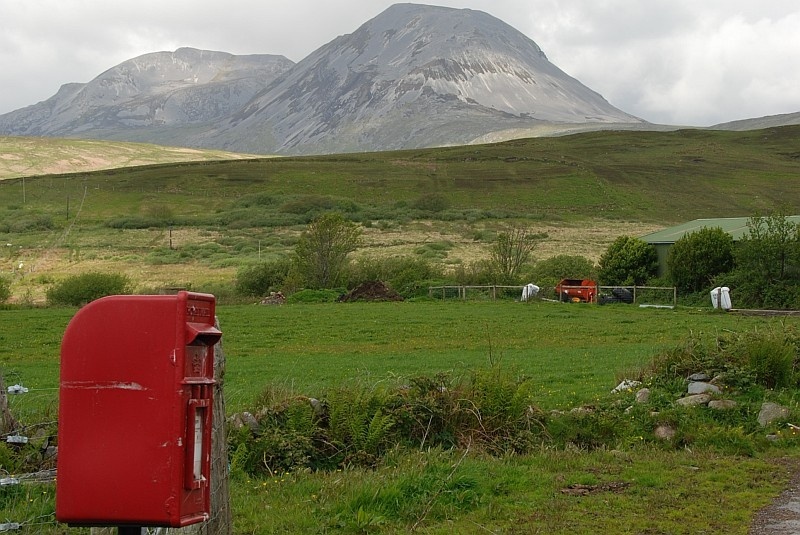 The novelist George Orwell, who wrote 1984 while living on Jura in the 1940s, famously described the island as ‘an extremely un-get-attable place’ – and it still is today. 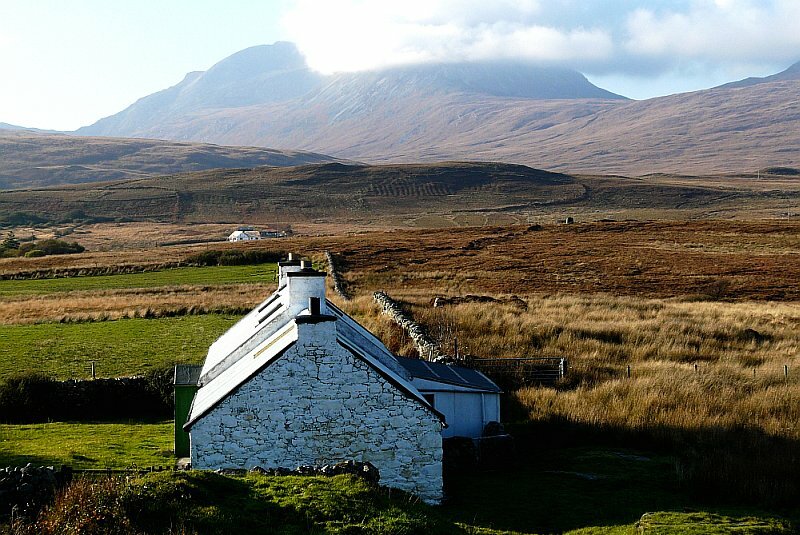 Although it lies tantalisingly close to the mainland, and is only a short hop by ferry from its neighbour Islay, Jura is one of the wildest and most sparsely populated places in the UK. Its name is thought to be derived from the Gaelic Diura, meaning ‘island of deer’, and the population of just 200 people is outnumbered many times by the 5,000 deer which still roam the island. Warmed by the gulf stream, the climate of Jura is surprisingly mild, and it is also drier and sunnier than other Hebridean islands such as Mull and Skye. There are fuchsias and palm trees growing in Craighouse, and the lovely gardens of Jura House are home to exotic plants from all over the world. The gardens have been open to the public for some years, but they are now closed following a recent change of ownership. First impressions of Jura are of a vast emptiness. Its neighbour Islay is populous and fertile, but the five minute ferry crossing to Jura takes you into a very different landscape, where the only sounds are the tide and the burbling curlews. Herons and oystercatchers feed along the shore, buzzards and golden eagles circle over the hills, and otters play on the rocks. 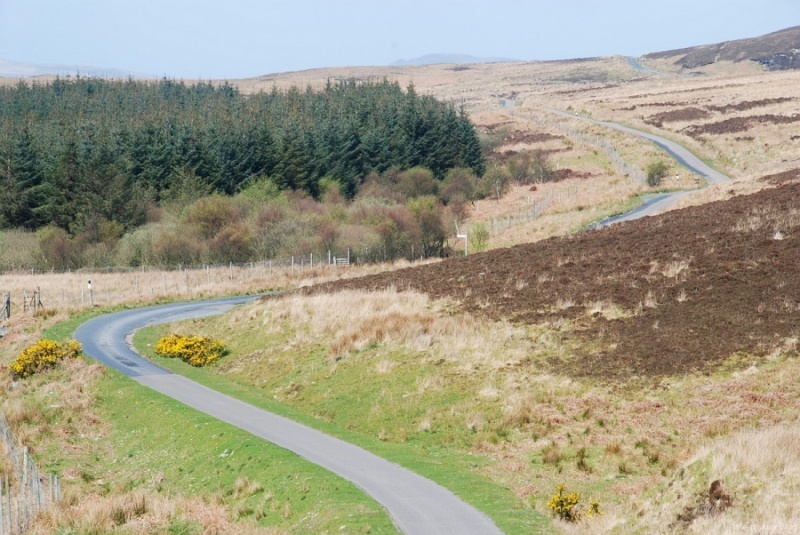 From Feolin Ferry on the south-west coast, a single-track road takes you past Jura House, through Craighouse and on to Ardlussa in the north – 25 miles of twists and turns, with breathtaking views in every direction. The clouds come and go over the three Paps – an irresistible lure to keen walkers, and the venue for the challenging Paps of Jura Fell race, which takes place in May every year.